Postage is £17.70 per box to UK mainland. Please feel free to contact us with any questions you may have. Customer service is a high priority for us. 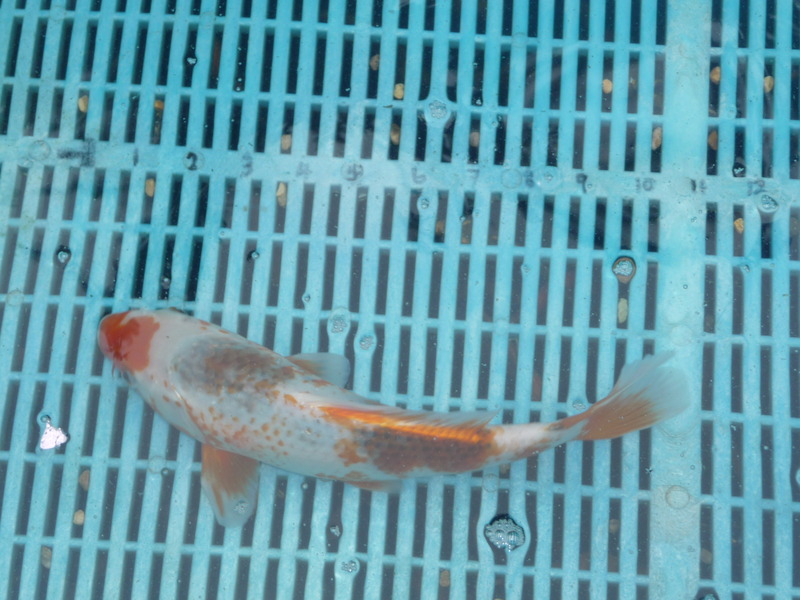 We have some LARGE show class fancy goldfish specimens of many types. 2-3" goldfish. Kept in unheated water. Excellent pond fish also look good in aquariums. The price is for 50 goldfish picked at random from the photo. The fish are double bagged then filled with water and pure oxygen, then placed in a strong cardboard box for delivery. We use APC courier next working day delivery. 2-3" Mixed Fish. Excellent for ponds or aquariums. 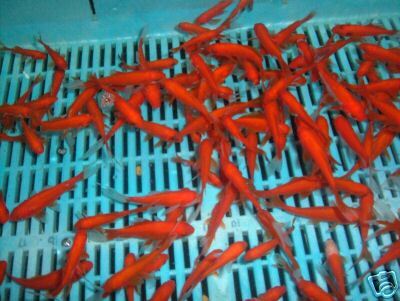 The price is for 50 mix (15 Goldfish, 15 Yellow Goldfish, 10 Shubunkins and 10 Sarasa Comet) picked at random from our stock. 2-3" goldfish. Kept in unheated water. Excellent pond fish also look good in aquariums. The price is for 1 goldfish picked at random from the photo. You can have up to 300 in 1 carriage cost. The fish are double bagged then filled with water and pure oxygen, then placed in a strong cardboard box for delivery. We use APC courier next working day delivery. 2-3" goldfish. Kept in unheated water. Excellent pond fish also look good in aquariums. 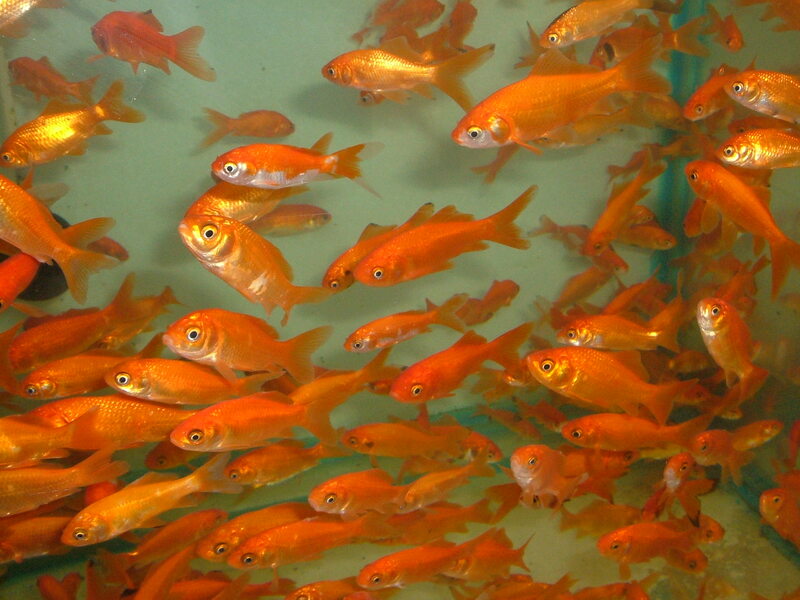 The buy it now price is for 100 goldfish picked at random from the photo. The fish are double bagged then filled with water and pure oxygen, then placed in a strong cardboard box for delivery. 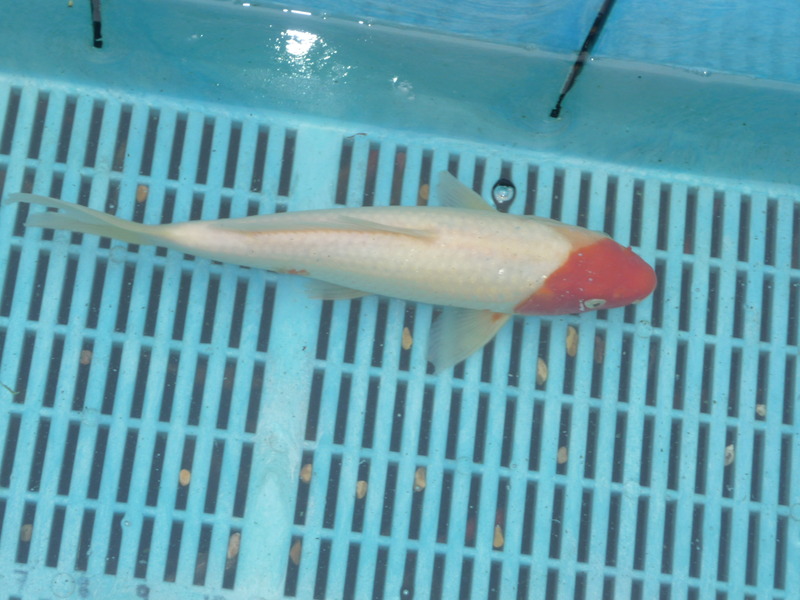 2-3" sarasa comet red/white. 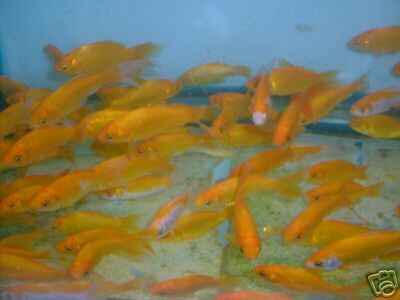 2-3" shubunkins blue in colour goldfish are a lovely gold colour. Kept in unheated water. Excellent pond fish also look good in aquariums. You are buying 20 sarasa's 20 shubunkins and 10 goldfish. You may choose how many of each type you want. 50 fish in total! 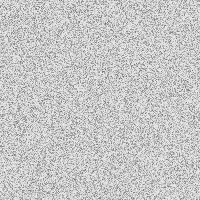 Picked at random from the photo. 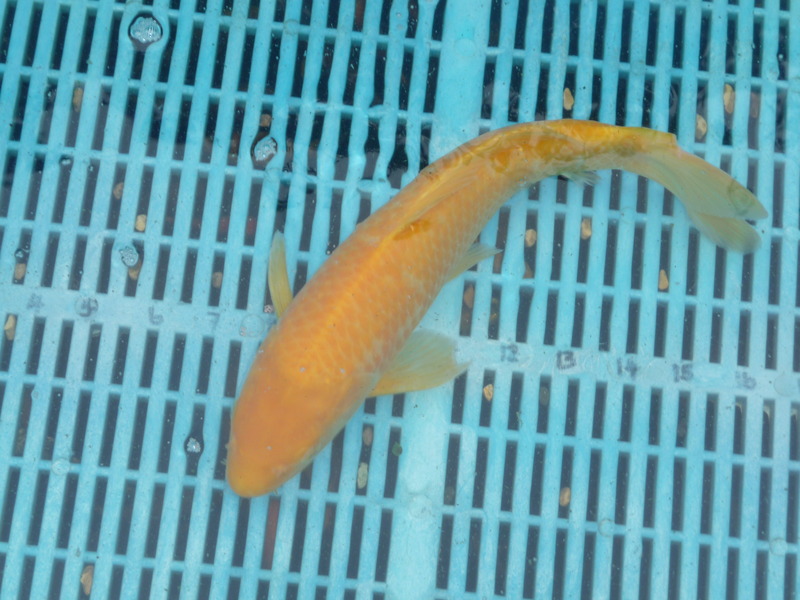 2-3" Yellow Goldfish. Kept in unheated water. Excellent pond fish also look good in aquariums. The price is for 25 goldfish picked at random. 2-3" Shubunkins. The second most popular variety after the goldfish. The bloodlines in these fish are very strong. Kept in unheated water. Excellent for ponds or aquariums. The price is for 25 fish picked at random. 3-4" Traditional English Ghost Koi. These types have the old fashion skull like apperance on the head. A lovely addition to any pond. 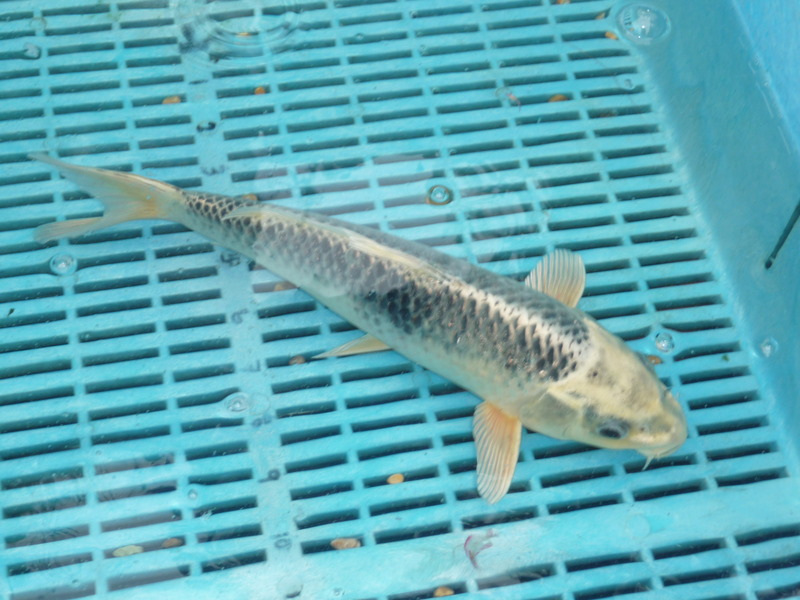 Good hardy English bred Koi. These fish are 100% KHV FREE. 12" Koi.A lovely addition to any pond. You will receive the koi in the picture. 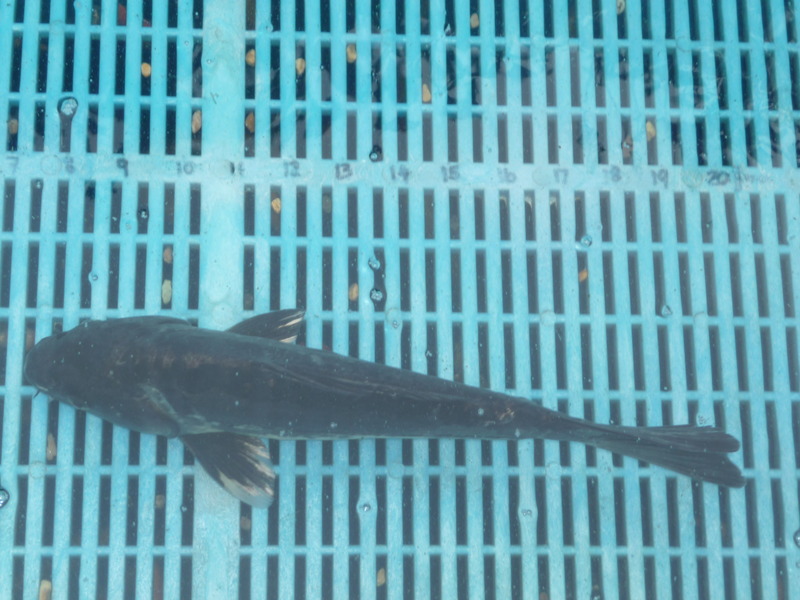 These fish are kept in isolation away from all our other stock until we are 100% certain that these fish are free from all main diseases this includes KHV. Once the tests have come back regarding that they are KHV FREE the fish are then moved and then conditioned and acclimatised. 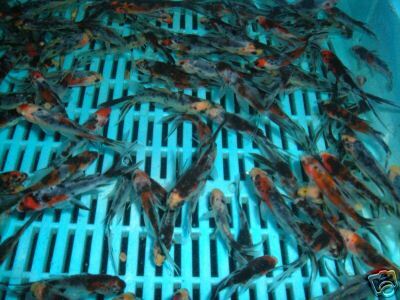 Once acclimatised they are then left in unheated water until they are sold. 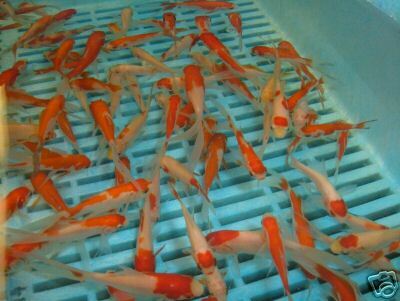 These are not imported Magnoy injected koi! 13" Koi.A lovely addition to any pond. You will receive the koi in the picture. These fish are kept in isolation away from all our other stock until we are 100% certain that these fish are free from all main diseases this includes KHV. Once the tests have come back regarding that they are KHV FREE the fish are then moved and then conditioned and acclimatised. Once acclimatised they are then left in unheated water until they are sold. 11" Koi.A lovely addition to any pond. You will receive the koi in the picture. These fish are kept in isolation away from all our other stock until we are 100% certain that these fish are free from all main diseases this includes KHV. 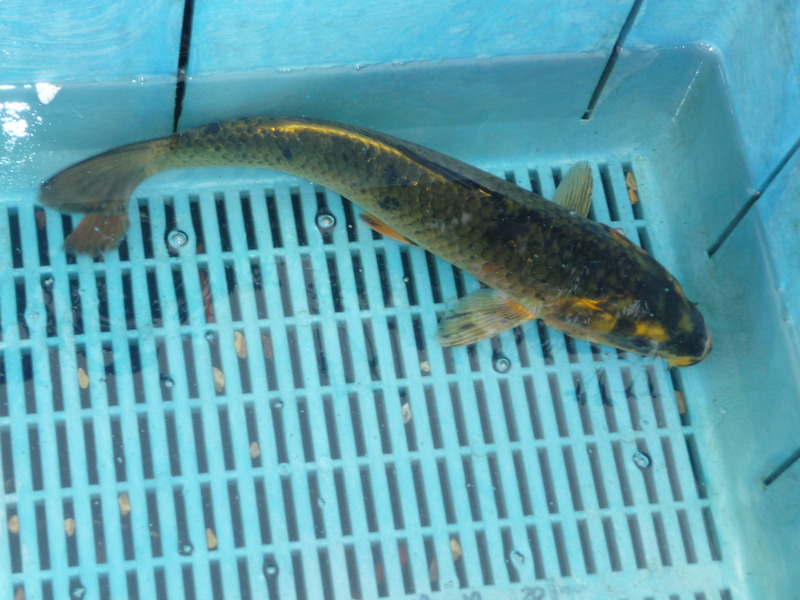 Once the tests have come back regarding that they are KHV FREE the fish are then moved and then conditioned and acclimatised. 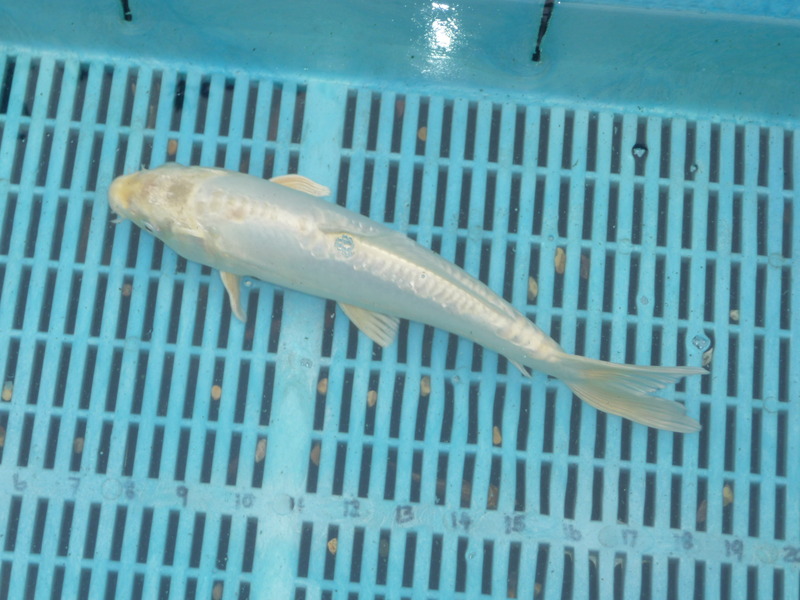 Once acclimatised they are then left in unheated water until they are sold. 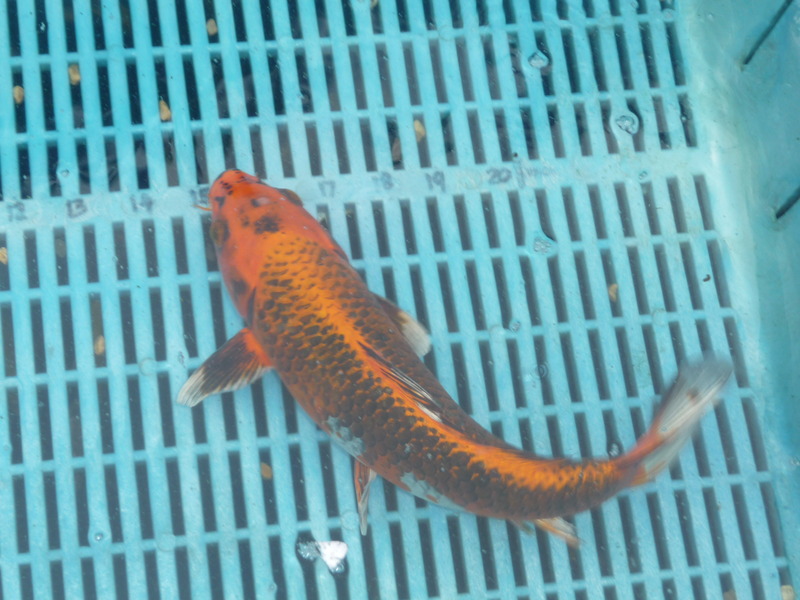 14" Koi.A lovely addition to any pond. You will receive the koi in the picture. These fish are kept in isolation away from all our other stock until we are 100% certain that these fish are free from all main diseases this includes KHV. Once the tests have come back regarding that they are KHV FREE the fish are then moved and then conditioned and acclimatised. Once acclimatised they are then left in unheated water until they are sold. 10" Koi.A lovely addition to any pond. 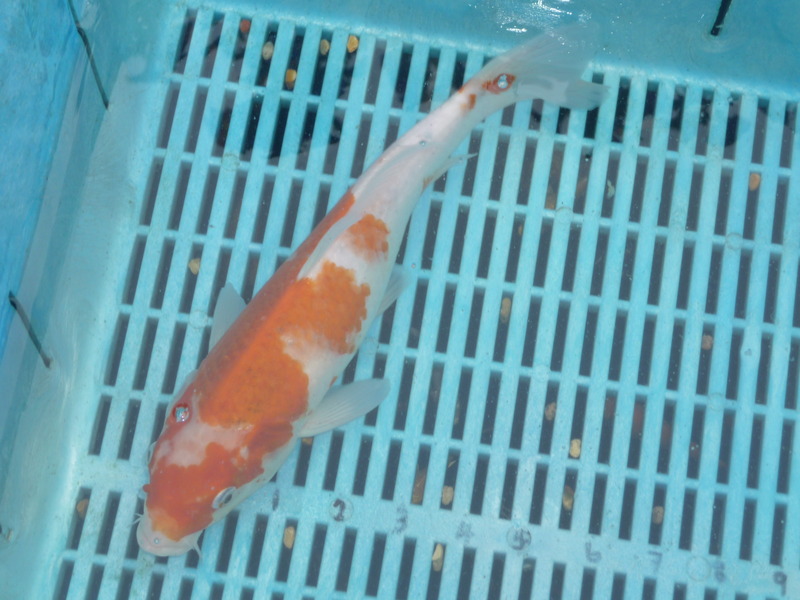 You will receive the koi in the picture. These fish are kept in isolation away from all our other stock until we are 100% certain that these fish are free from all main diseases this includes KHV. Once the tests have come back regarding that they are KHV FREE the fish are then moved and then conditioned and acclimatised. 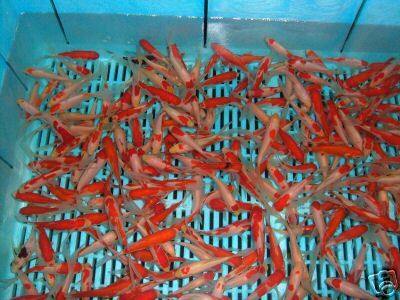 Once acclimatised they are then left in unheated water until they are sold.